Jack Burnham’s systems aesthetics was one of the first, fully developed, critical theories of postformalist artistic practice. Yet Burnham, undeservedly, is little known today. Recovering, reprising and reassessing his work produces a richer reading of art production c.1970. It also suggests an alternative genealogy of contemporary practice. However, the piece my fictional narrative purports to describe, Norbert: All Systems Go, 1971 (fig.1), remained unrealised. Haacke had tried to teach a mynah bird the phrase, ‘All systems go,’ which the bird, installed in a cage in the gallery space, was to have repeated at its own volition. The bird’s reluctance to parrot the phrase and the now infamous cancellation of Haacke’s show, put paid to the piece. Nevertheless, even treated as a conceptual proposal, it can be compared instructively with an earlier avian installation that Haacke did realise, Chicken’s Hatching, 1969 (fig.2). Here, freshly laid chicken eggs were collected from a brooder, transferred to an adjacent hatchery and distributed among a grid of eight small incubators. The hatching process was controlled artificially, via a simple feedback system of lamps and thermostat. Excepting their awkward logistics, both works might well have been included in the Tate Modern’s Open Systems: Rethinking Art c.1970 exhibition, held in 2005.1 Both pieces were conceived c.1970; both do advanced critical work on received notions of artistic agency, the object status of art, the role of the spectator and the medium of the artwork’s execution; and both works deploy systems theory as a conceptual resource for vanguard art practice. However, while Chickens Hatching makes direct use of the possibilities presented by cybernetic systems, Norbert: All Systems Go seems to negate them. In the later work the technology is stripped away and cybernetic theory, as developed by celebrated mathematician Norbert Wiener, is mocked, its optimistic feedback-steered vision of human progress undermined. The affirmative ‘All Systems Go!’ of Chicken’s Hatching becomes the sardonic refrain of a trained mynah bird in Norbert. How then should we account for the ideological gulf separating these two works? What broader implications might this brief narrative have for rethinking art c.1970? Reproduced in Software. Information Technology: Its New Meaning for Art, exhibition catalogue, The Jewish Museum, New York, 1970, p.10. Systems theory, as it came to be understood and applied in art practice in the late 1960s and early 1970s, seemed to offer exactly such possibilities. Haacke had been introduced to systems thinking by Jack Burnham, a prominent critic, occasional curator and close personal friend. In fact, Haacke justifiably credits Burnham with introducing systems theory to the 1960s art world at large, through his writing on ‘systems aesthetics’.5 Yet the enthusiasts of systems aesthetics (including Burnham himself) came to reject the theory almost as quickly as they had taken it up. In this, Haacke’s work can be read as paradigmatic of a broader historical movement. Systems theory came to be considered unavoidably complicit with its industrial and military applications and thus illegitimate for an art opposed to commerce and war. Yet was this reaction legitimate and, even if it was, what might this narrative of rejection have to teach us today? All systems go but some can be worth rehabilitating. To revisit Burnham’s theory and reconsider its value is the intention here. It will be suggested that the precipitate and to some degree unwarranted rejection of systems aesthetics has obscured a useful theoretical tool for analysis of the field of cultural production c.1970 and beyond. Consequently, in the remainder of this discussion, I want to undertake three critical operations on Burnham’s theoretical corpus: to recover; to reprise, and to reassess his work, specifically as it relates to the artists, works and issues that were presented in Open Systems: Rethinking Art c.1970. It will be argued that the continuing relevance and influence of the show’s artists is paralleled by an ongoing significance for Burnham’s less well-known critical work. For a writer who was a significant theoretical force in his day – sitting on Artforum’s masthead alongside Lawrence Alloway, Annette Michelson, Michael Fried and Rosalind Krauss – Burnham’s work is now relatively obscure. Despite the pertinent inclusion of his ‘Systems Esthetics’ essay in the Open Systems catalogue, his work is not widely anthologised and has been relatively little discussed within mainstream art history. One might want to investigate in some detail the fraught editorial politics of Artforum for a pragmatic explanation of Burnham’s historical occlusion. This, however, will not be undertaken here. Instead, Burnham’s systems aesthetics will simply be restored to view as one of the first, fully developed, theoretical schema to attempt the description and analysis of postformalist artistic practice. Burnham’s theory of systems aesthetics was developed out of his reading of the biologist Ludwig von Bertalanffy’s General Systems Theory, (1969). Sharing a publisher with Bertalanffy, Burnham picked up on systems theory as a key strand of his broad-ranging attempt to develop a position adequate to then-emerging postformalist practice.Burnham sought to crack open the hermetically sealed theoretical environment of his time, disturbing formalist criticism’s increasingly dysfunctional relationship with its array of treasured, ‘autonomous’ art objects. In place of formalism, Burnham elaborated a theory of systems aesthetics, heavily inflected by his reading of systems theory. Prior to looking at Burnham’s particular reading of systems theory, it is important to set out the central tenets of general systems theory as elaborated by Bertalanffy. General systems theory emerged from science’s shift away from essentialism and towards the recognition that relationships between objects, as well as the objects themselves, required study: ‘We have learned that for an understanding not only the elements but their interrelations as well are required.’10 A set of relationships between objects was considered a ‘system’. Conceptual focus on the relation of relations thus constitutes the extent of any given system and, more generally, of systems theory as a discipline. Bertalanffy stipulates that ‘it turns out that there are general aspects, correspondences and isomorphisms common to“systems” … indeed, such parallelism or isomorphisms appear – sometimes surprisingly – in otherwise totally different “systems”.’11 Noting such isomorphism, systems theory’s overarching project was to perform an integrative function with respect to disparate scientific disciplines. Burnham also operated at a crucial intellectual hinge point, one that has been characterised by Ann Rorimer as, ‘crossing the divide between the Modernist belief in the self-contained object and Postmodernist attention to relational, non-autonomous, multifaceted open-endedness’.12 A shift in attention from autonomous, closed systems to relational, open systems is exactly what Bertalanffy announced in systems theory, drawing on his insights into the study of the biological organism. This new paradigm of open systems, what Sanford Kwinter has described as the ‘shift in twentieth-century thought toward a biological model’13 seems as adequate an overarching intellectual approach to the logic of cultural production as, say, the shift from structural to poststructural linguistics. Yet though it has been widely generalised in other academic discourses – from sociology to philosophy – art history has been notably resistant to systems theory. The failure of art history to relate scientific models to ‘scientistic’ cultural production arguably has more to do with the ongoing territory battles of the ‘Two Cultures’ (the traditional division of intellectual labour between the sciences and the humanities), than any fully convincing theoretical rationale for the oversight. Encouragingly though, Hal Foster has recently reflected on his own nuanced relationship to the one ‘science’ so far admissible to mainstream art history, namely psychoanalysis. He candidly admits that this mode of interpretation might be both ‘critically insightful’ and ‘ideologically blinded’, yet nevertheless correctly insists on the power and legitimacy of holding it in double focus, viewing it ‘historically, in a discursive field often shared with modernist art’, and applying it ‘theoretically, as a method of understanding aspects of this art.’20 I want to suggest that we apply exactly the same evaluative criteria to systems theory. It was certainly a ‘discursive field’ that many artists of the late 1960s engaged with and, as a result, serves as a rich ‘method of understanding’ such art. Reprising Burnham’s redeployment of systems theory as systems aesthetics requires a brief historical sketch of his intellectual development and its historical context. Burnham trained, and briefly practised, as a sculptor. Giving up his own practice, Burnham subsequently taught others as an Associate Professor of Art at Northwestern University and from 1968–9 was a Fellow of the Center for Advanced Visual Studies at MIT with notable Bauhaus émigré (and art and science advocate) Gyorgy Kepes. 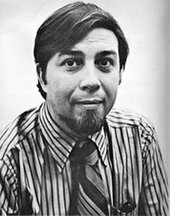 Burnham also worked as a curator, organizing Software, Information Technology: Its New Meaning for Art (1970), a major early Conceptual Art show, setting vanguard work alongside information technology. He wrote regularly for Artforum and published two major book-length studies, Beyond Modern Sculpture: the Effects of Science and Technology on the Sculpture of this Century (1968) and The Structure of Art (1971). A third title, Great Western Salt Works: Essays on the Meaning of Post-formalist Art (1974), collected many, but not all, of his critical essays. Burnham’s position in Beyond Modern Sculpture was technologically deterministic and self-avowedly teleological,21 anticipating that modern sculpture would ‘eventually simulate living systems.’ As such it read awkwardly. The work was heavily criticised by Krauss on its publication and presents a position that Burnham was to reject in his own later thinking. Burnt by his critics, Burnham’s second text, The Structure of Art, was undertaken in order to correct the ‘historical presumptions’ and ‘internal inconsistencies’ of the first.22 However, its rigid interpretative framework, derived from an amalgam of structural anthropology and semiology, collapsed the diversity and specificity of artistic practice into an inflexible Structuralist schema. Rather than laboriously summarising each article’s argument, I will reprise Burnham’s key claims in the light of some of the now canonical postformalist works shown in Open Systems. In this way we can attempt to weigh the theory’s explanatory and critical strength in the context of a representative selection of the art that occasioned it. Obviously, these exemplary works exhibit a specificity that is not reducible to Burnham’s theoretical schema – I am not trying to suggest that systems aesthetics exhausts the work, nor that the works simply exemplify the argument of Burnham’s systems aesthetics. Rather I will attempt to read the artworks and the theory through an articulation of their relations. From a distance Robert Smithson’s Four-sided Vortex, 1967 (see Open Systems catalogue, plate 9, p.93) resembles a specific object after Judd. Yet, on closer inspection, it becomes evident that Smithson’s stainless steel cuboid is open at the top, inviting the viewer to peer inside. Four triangular mirrors angle down inside the volume, meeting at the bottom. The facets set up a series of multiple internal and external reflections. The viewer is sheared into a complexity of views, destroying his or her sense of a coherent self-image. Similarly, the mirrored surfaces reflect each other, producing an optical confusion of their actual geometric orientation. Finally, an image of the outside world is also drawn inside the work where it is distorted and multiplied. Subject, object and world are folded in on each other in a kaleidoscopic reconfiguration. The individual work is forced to relinquish its claim to visual autonomy at the same time as the phenomenological frame of the gallery space is also destabilised. Here, Smithson foregrounds the relations that exist between subject, object and world by producing a deformation of them. Like the defamiliarisation visited on one’s own body image by a hall of mirrors, the artist makes us think harder about our objects of knowledge. Smithson seems to crystallise the socio-scientifc paradigm shift that, for Burnham, vanguard art had to respond to, namely the ‘transition from an object-oriented to a systems-oriented culture. [SE]. Burnham’s insistence on the negation of the art object’s materiality, autonomy and timelessness all build to his affirmation that: ‘The traditional notion of consecrated art objects and settings will gradually give way to the conclusion that art is conceptual focus.’ [AIS] Dan Graham’s Homes for America, 1966-7 (see Open Systems catalogue, plate 35, pp.116-7) enacts exactly this observation. Photographs of rows of nondescript suburban tract housing along with an accompanying essay were presented as a magazine spread in Arts Magazine, December 1966. Graham ironically traces the serial logic of Minimalist cultural production back to the social field that occasioned it and in so doing successfully re-enunciates the art ‘object’ as direct conceptual documentation of the social field. The piece’s artistic claim is made on behalf of its ‘conceptual focus’ rather than its content or mass cultural form. Finally for us here, in The Bowery in Two Inadequate Descriptive Systems, 1974–5 (see Open Systems catalogue, plate 45, pp.126–7), Martha Rosler takes a series of framed linguistic and photographic representations of the then-deprived New York locale and runs them in parallel around the gallery. In so doing, she shows not only the failure of two given representational systems (words and pictures) to adequate to their object but also suggests the ultimate inadequacy of any representational system. Despite the thoroughly worked through character of his own systems aesthetics, Burnham also foresaw his theory’s limitations, specifically its contingency: ‘The emergence of a “post-formalist esthetic” may seem to some to embody a kind of absolute philosophy, something which … cannot be transcended. Yet … new circumstances will with time generate other major paradigms for the arts’ [SE]. Burnham’s systems aesthetics acknowledges in full the historically vicissitudes that assail any systematic aesthetic theory. That there has been a transition from an object-oriented to a systems-oriented culture. That art does not reside in material entities. That art is not autonomous. That art is conceptual focus. That no definition or theory of art can be historically invariant. Peter Osborne has recently and convincingly aggregated the changes that occurred in conceptual art practice under four broad headings: namely, the negation of art’s material objectivity, medium specificity, visuality and autonomy.26 In this light, Burnham’s systems aesthetics represents an earlier and perhaps more complete theoretical articulation of the changes occurring in art practice c.1970 than the more well-known narratives of ‘dematerialisation’ (1973) and ‘expanded field’ (1978) that have until recently dominated discussion of this period. However, it was, in fact, Burnham’s own theoretical ambiguity that I believe compromised his project. I want to conclude by suggesting that Burnham hinted at, but never comprehensively followed through on, a disarticulation of systems theory from its techno-industrial deployment. In so doing he only suggested the conceptual possibilities that systems theory might offer a critical art practice. Burnham too often carelessly elided systems theory and cybernetics. Cybernetics’ concern with control and communication in the animal and machine presupposes relations of direct structural equivalence between biology and technology, bios and technics, which lend it a pronounced technological rationality and led it to collude with the command and control needs of a burgeoning postwar military-industrial complex. Unable or unwilling to hold this crucial distinction in mind, Burnham was to reject systems theory and consequently his own systems aesthetics. His failure to fully differentiate systems theory from cybernetics caused him to swing between a productive, analogical deployment of systems theory and an overly prescriptive stress on its technical application. Burnham declared, with proleptic accuracy: ‘The traditional notion of consecrated art objects and settings will gradually give way to the conclusion that art is conceptual focus.’33 Yet he also regularly lapsed back into naïve technological determinism: ‘it now seems almost inevitable that artists will turn toward information technology as a more direct means of aesthetic activity.’34 Haacke’s politically inspired rejection of cybernetics and information technology was enacted precisely to refuse such a deterministic ‘logic’ of artistic development. Burnham soon followed Haacke’s lead. Disillusioned, he renounced systems aesthetics and retreated into an obscure, cabbalistic mysticism. After publishing a final, dejected essay, ‘Art and Technology: The Panacea that Failed’, Burnham disappeared from the art world altogether. Yet need we retire systems aesthetics with Jack Burnham? It is not necessary to write systems thinking out of art history, nor to denigrate the powerful methodological purchase of systems aesthetics, simply because of the equivocal critical standing of the theory’s originator. In Bertalanffy’s original description, systems are ‘sets of elements standing in interaction’. More concisely expressed, systems aesthetics tries to think art as a relation of relations. As such, it perhaps still offers resources for understanding post-object based art. Recovering the degree to which postformalist art engaged Burnham’s systems aesthetics allows historical works to be accounted for in richer terms. Furthermore, future accounts of the development of twentieth-century art might restore systems aesthetics to view as an important genealogical precursor to the relational aesthetics of a more recent generation of artists explicitly indebted to work produced c.1970. 1. The works that were included in the show can be found detailed in its catalogue, Donna De Salvo ed., Open Systems: Rethinking Art c.1970, London 2005. 2. See Benjamin Buchloh, ‘The Social History of Art: Models and Concepts’ in Art Since 1900: Modernism, Antimodernism, Postmodernism, London 2005, p.23. 3. Which, as with all clichés, is not to suggest that there is not a measure of truth in it. As Grasskamp observes: ‘It is scarcely possible to understand the development of Haacke’s work in the late 1960s without being aware of the growing influence of the two failed utopias of this decade, one political, one technological, both of which promised to bring the bourgeois religion of art to an end.’ (Walter Grasskamp, Hans Haacke, London 2004, p.42). 4. Video art being one obvious example. 5. As Haacke himself states: ‘the concept of “systems” is widely used in the natural and social sciences and especially in various complex technologies. Possibly it was Jack Burnham, an artist and writer, who first suggested the term (not to be confused with “systematic”) for the visual arts.’ (Hans Haacke, ‘Untitled statement’ (1967) in Grasskamp ed., 2004, p.102). 6. See ‘The Cybernetic Organism as an Art Form’ in Jack Burnham, Beyond Modern Sculpture: The Effects of Science and Technology on the Sculpture of this Century, London 1968, pp.331–59. 7. For a layman’s account of Cybernetics, see Norbert Wiener’s own The Human Use of Human Beings: Cybernetics and Society, New York 1950. Or, for a technical account, his Cybernetics: or, Control and Communication in the Animal and the Machine, Cambridge, Mass. 1948. For a fairly technical account of information theory, see Robert Ash, Information Theory, New York 1965. 8. Michael Corris ed., Conceptual Art: Theory, Myth, and Practice, Cambridge 2004, p.197. 9. ‘The channel is the medium over which the coded message is transmitted. The decoder operates on the output of the channel and attempts to extract the original message for delivery to the destination. In general, this cannot be done with complete reliability because of the effect of “noise,” which is a general term for anything which tends to produce errors in transmission.’ Ash (1965 p.1). 10. Ludwig von Bertalanffy, General Systems Theory: Foundations, Development, Applications, Harmondsworth 1973, p.xviii. 12. Ann Rorimer, New Art in the 60s and 70s: Redefining Reality, London 2001, p.155. Burnham’s ‘Systems Aesthetics’ are an important yet overlooked theoretical formulation of this shift. Rorimer herself omits any reference to Burnham’s work. 13. Sanford Kwinter, Architectures of Time: Toward a Theory of the Event in Modernist Culture, Cambridge, Mass. 2001, p.ix. 14. It is worth noting that Haacke preferred to reserve a strict definition for the type of art that could legitimately be considered in terms of systems theory, preferring to take his cue from its application in the physical sciences alone: ‘I believe there are sound reasons for reserving the term ‘system’ for certain non-static “sculptures,” since only in this category does a transformation of energy, material or information occur’. ‘Untitled statement’in Grasskamp ed., 2004, p.102. 15. Pamela Lee, Chronophobia: On Time in the Art of the 1960s, Cambridge MA 2004, p.68. 16. See e.g. Newman’s inaccurate and somewhat sniffy dismissal of Burnham’s theoretical position as ‘cultural anthropology’ in Amy Newman, Challenging Art: Artforum 1962–74, New York, NY, 2000, p.275. 17. For an account of this type see Johanna Drucker, ‘Interactive, Algorithmic, Networked: Aesthetics of New Media Art’ in At a Distance: Precursors to Art and Activism on the Internet. Annmarie Chandler and Norie Neumark ed., Cambridge, Mass. 2005, pp.34–59. 18. For an account of this nature, see Edward Shanken, ‘The House that Jack Built: Jack Burnham’s Concept of “Software” as a Metaphor for Art’ retrieved from www.duke.edu/~giftwrap/House.html. 8 May 2005. 19. David Mellor, The Sixties Art Scene in London, London 1993, p.107. 20. Hal Foster, Prosthetic Gods, Cambridge, Mass. 2004, p.xiv. 21. See the concluding chapter of Beyond Modern Sculpture, ‘A Teleological Theory of Modern Sculpture’, pp.370–6. 22. Jack Burnham, The Structure of Art, revised edition, New York 1973, p.vi. 23. Jack Burnham, ‘Systems Esthetics,’ Artforum, September 1968. 24. Jack Burnham, ‘Real Time Systems,’ in Great Western Salt Works: Essays on the Meaning of Post-Formalist Art. New York 1974. 25. Jack Burnham, ‘Alice’s Head: Reflections on Conceptual Art,’ Artforum, February 1970. 26. Peter Osborne, Conceptual Art, London 2002. 27. ‘With the rash of “Tek-Art” adventures during the 1960s, substantial numbers of artists and critics feared that electronics might soon overwhelm the prestige of the traditional art media as found in painting and sculpture.’ (Jack Burnham, ‘Art and Technology: The Panacea that Failed’ in Kathleen Woodward ed., The Myths of Information: Technology and Postindustrial Culture, p.212). 32. Ibid., preface to the British Edition, p.xxi. 33. Jack Burnham, ‘The Aesthetics of Intelligent Systems’ retrieved from www.washington.edu/dxarts 23 March 2005. This paper is a revised and expanded version of a talk given by the author at Tate Modern’s Open Systems: Rethinking Art c.1970 Graduate Symposium 2005. Luke Skrebowski is a PhD candidate at Middlesex University. Luke Skrebowski, ‘All Systems Go: Recovering Jack Burnham’s ‘Systems Aesthetics’’, in Tate Papers, no.5, Spring 2006, https://www.tate.org.uk/research/publications/tate-papers/05/all-systems-go-recovering-jack-burnhams-systems-aesthetics, accessed 20 April 2019. Renowned American artist Martha Rosler in conversation with Iwona Blazwick, Director of The Whitechapel.